Florida Eldercare Services in Seminole | DeLoach, Hofstra & Cavonis, P.A. How Can Elder Care Services Coordination Help Me? If you are like most people, you have no experience with the special medical needs and other considerations that elders face. It is simply knowledge you haven't needed - until now. But when you find yourself as the caregiver for an aging loved one, you will find that there are so many things to do to ensure their care. They include getting financial affairs in order, ensuring proper medical care for their deteriorating condition, talking with health care professionals (doctors, nurses, discharge planners, social workers, etc. ), and getting them a safe place to live. Each of these tasks requires extensive knowledge. However, the Life Care Planning Team at DeLoach, Hofstra & Cavonis, P.A. does that this knowledge and can guide you every step of the way. If you want to ensure that you are making the best possible choices for your loved one, team up with people that you know you can trust. Then, you can rest assured that your loved one will get the best care possible. It puts you into our network of community services and resources. It puts all their legal and financial affairs in order. It helps the family avoid an asset protection crisis. It helps take the stress off the care giving family member(s), who are often thrown into a difficult situation. It increases the chances your loved one can age at home. The Life Care Plan brings the knowledge of Florida’s elder law to your fingertips. Planning for a safe living environment and the right care brings peace of mind as you journey through this confusing process. It also brings the best Life Care Planning team in Seminole and Pinellas County to your aid, available to answer legal, health care, and other concerns. 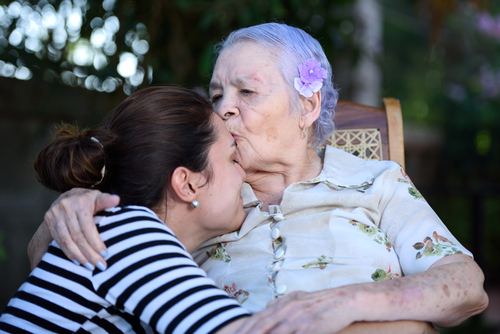 The best time to enter into a Life Care Plan is when your loved one may not be able to stay at home any longer. That is when our team can go to work, helping to assess your family's situation, keep family members safe and provide the family with the guidance they need. You do not have to go through your aging process alone! When you need help, our Life Care Planning practice is here for you. Call us at 727.397.5571 or contact us online any time.